Run by Jon, Joy, Ellen and Harry, the Professional Shop at Ham Manor offers a vast range of items and services to members and visitors alike. 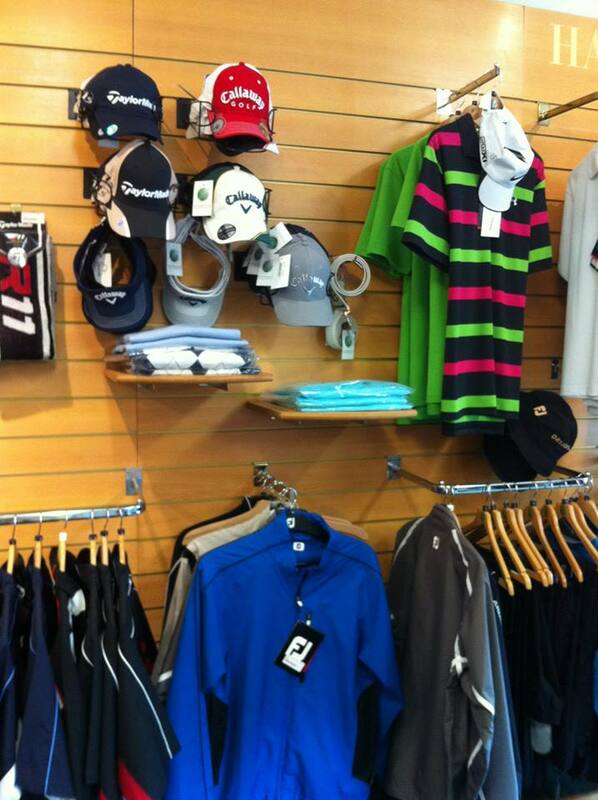 The Pro shop is a golf shop in Sussex that stocks a range of clothing supplied by industry leading brands such as Green Lamb, Daily Sports, Glenmuir, Under Armour, and Proquip. Jon is a member of the Foremost Buying Group, which allows golf equipment to be obtained from all manufacturers. This means the prices are extremely competitive, and if items are not in stock, they are able to be ordered and collected within a few days. We are recognised stockists for Ping, Callaway and many others, as this allows us to put together a complete custom fitting service. A professional fitting covers: Head Styles, Shaft Length, Shaft Flex, Loft/Lies and Grip Sizing.